Rock event SHED ROCK FESTIVAL is held at THE FARM in Australia on March 3, 2012. Headline act is ELECTRIC MARY. Destroy She Said we have featured appears there as one of support acts. 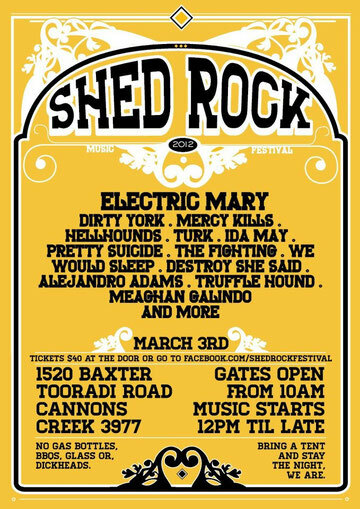 See more info SHED ROCK FESTIVAL on facebook.